During Ramadan, we have changes about opening hours. Lunch 12:00-15:00 Only Saturday & Sunday. 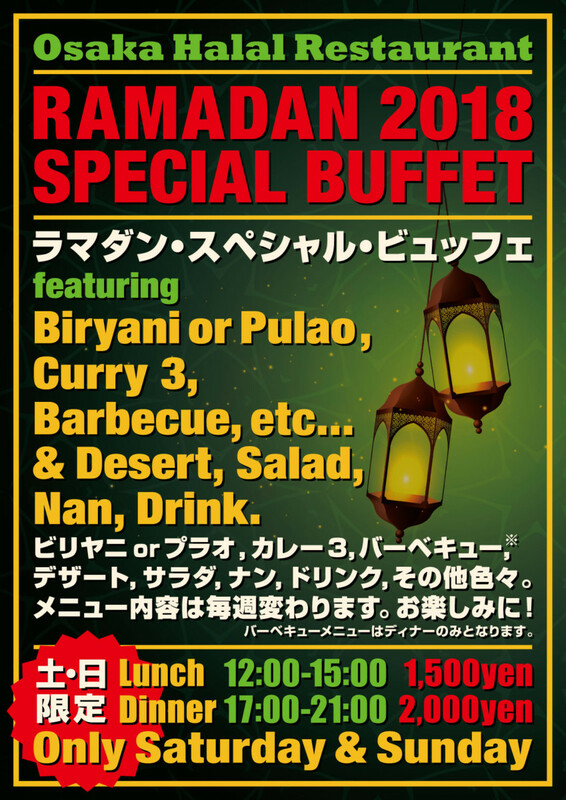 During Ramadan, Friday’s buffet will not be operated, however we will Saturday and Sunday special buffet. Biryani or Pulao, 3 Curry, 1 Barbecue, Desert, Salad, Nan, Drink.